COLOR CHALLENGE: RED | Nam Writes. The photo color challenge was all the rage a while ago and I completely missed the boat. But this is me bringing it back in style. Or just being behind the times and really pathetic. Either way, here is my photo for red. 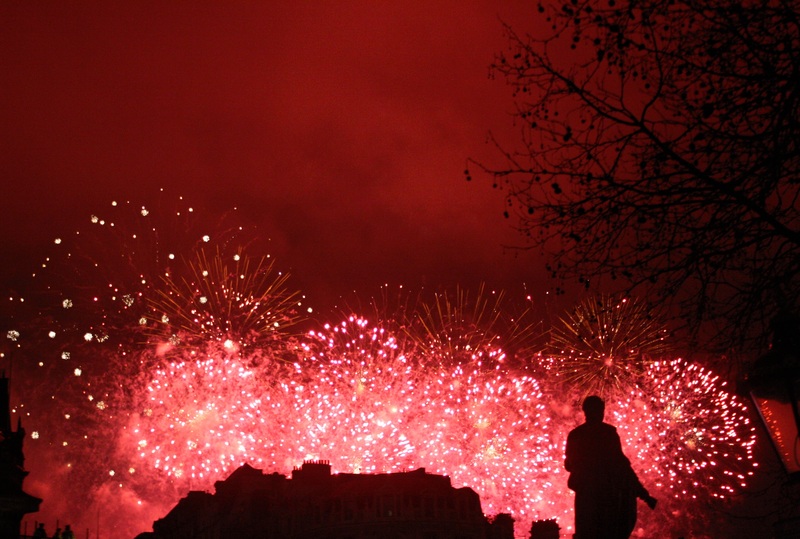 It was New Year’s Eve last year in London, and The Boyfriend and I were packed into a crowd of people at Trafalgar Square watching fireworks. I had no tripod and barely any room to move. I stood on my toes and held the camera above my head, hoping for the best. Bright colors in the fireworks and also the reddening of the sky is well captured, I especially appreciate the silhouetting! Good capture!